EnergyCasino was launched in 2013 and has since then become a very popular online casino. One obvious reason for their success is the combination of casino games that they offer. At EnergyCasino you can enjoy games provide by Novomatic (Greentube Technology), NetEnt, Wazdan and Microgaming’s Quickfire. All games are played directly in the web browser so no download is required at all. Besides the great online slot machines, EnergyCasino also offer table games, video poker and parlour games. EnergyCasino offer their web site in most European languages and they do have a great customer service team available 24/7 if you should need to contact them. EnergyCasino is operated by Probe Investment Limited and are licensed and regulated by the Malta Gaming Authority (MGA) as well as the UK Gambling Commission. Energy Casino No Deposit Bonus: Get 15 Free Spins on Guns n’ Roses – No Deposit Required! Register an account at EnergyCasino and get 15 free spins no deposit bonus on Guns n’ Roses. The free spins must be wagered 35 times before cashing out. The free spins are only available to customers from the following countries: Austria, Canada, Czech Republic, Finland, Germany, Holland, Hungary, Iceland, Ireland, Latvia, Norway, Russia, Slovakia, Slovenia, Switzerland, United Kingdom, Australia and New Zealand. When you make your first deposit at EnergyCasino, you will receive a match bonus of 100% up to €200 (or equivalent value in local currency). The minimum deposit for this bonus is €10. The wagering requirement vary between x25 to x40 times depending on in which country you reside. For example, players residing in United Kingdom have a wagering requirement of 30 times the deposit and bonus amount while players residing in Australia, Canada, Croatia, Greece, Portugal, Serbia and Romania need to wager their bonus and deposit amount 40 times before their first deposit is redeemed. Please also note that deposits made by certain payment methods such as UKash, PaySafe Card and Neteller are not eligible for the bonus in certain countries. 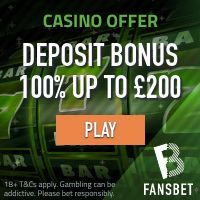 Once you have redeemed your first deposit bonus, you will get a reload bonus of 50% up to €200 when you make your second deposit. The same rules for wagering requirement and excluded payment methods apply on this bonus as well so make sure you check the terms and conditions before you fund your account. EnergyCasino offer a safe and secure transaction environment and they do accept most funding methods such as credit/debit cards, e-wallets, prepaid vouchers and several regional payment solutions. But please note, certain payment methods do qualify for bonus promotions if you use prepaid vouchers and e-wallets in certain countries so make sure you check what applies in your country. EnergyCasino has managed to combine some of the most popular casino games from the most acclaimed games developers. It is not very often that you find an online casino that offer online slot machines from Novomatic/Greentube, NetEnt and Microgaming so EnergyCasino is unique in that way. Some of the most popular online slot machines at EnergyCasino are Book of Ra Deluxe, Lucky Lady’s Charm, Beetle Mania, Sizzling Hot Deluxe, Dead or Alive, Piggy Riches, Jack and the Beanstalk, Avalon II, Thunderstruck II, The Dark Knight Rises and Mega Moolah.